WASHINGTON -- President Trump will meet Wednesday with Vladimir Putin's top diplomat at the White House on Wednesday, the White House said, marking the highest level, face-to-face contact with Russia of the American leader's young presidency. It would also signal that the two countries have improved ties that Mr. Trump recently described as being at an "all-time low." Mr. Trump's talks with Russian Foreign Minister Sergey Lavrov will take place after the Russian's meetings earlier in the day with Secretary of State Rex Tillerson. A Russian plan to stabilize Syria after more than six years of civil war is the most urgent foreign policy topic on the agenda. But the meeting will be impossible to separate from the Trump administration's unfolding political drama in Washington, where FBI and congressional investigations are looking into possible collusion between Mr. Trump campaign associates and the Kremlin related to last year's presidential election. U.S. intelligence agencies accuse Moscow of meddling to help Mr. Trump's chances of victory. The sigma of the Russia probes has been impossible for Mr. Trump to shake. Mr. Trump on Tuesday abruptly fired FBI Director James Comey, dramatically ousting the nation's top law enforcement official in the midst of the bureau's investigation into Mr. Trump's ties with Russia. Less than a month into Mr. Trump's presidency, he fired his national security adviser, Michael Flynn, saying Flynn misled senior administration officials about his pre-inauguration talks with Sergey Kislyak, Russia's ambassador in Washington. In a Senate hearing Monday, former acting Attorney General Sally Yates said she bluntly warned Mr. Trump's White House in January that Flynn "essentially could be blackmailed" by the Russians because he apparently had lied to his bosses about his contacts with Kislyak. Mr. Trump has said he has no ties to Russia and isn't aware of any involvement by his aides in any Russian election interference. He calls the various investigations a "hoax" driven by Democrats still bitter that their candidate, Hillary Clinton, was defeated last year. But in the meantime, his hopes for a possible rapprochement with Moscow, so regularly repeated during the campaign, have been derailed. Ties soured further in April after the U.S. blamed a Russian ally, Syrian President Bashar Assad, for a deadly chemical weapons attack on civilians and Mr. Trump fired some 60 cruise missiles at a Syrian air base in response. After Tillerson visited Putin and Lavrov in Moscow on April 12, Mr. Trump said flatly, "Right now we're not getting along with Russia at all." Still, Tillerson's meeting provided a blueprint for how the former Cold War foes might go about improving ties. A main focus is Syria, where both governments want to end a civil war that has killed up to 400,000 people, contributed to a global refugee crisis and allowed the Islamic State group to emerge as a global terror threat. The continued fighting between rebels and Assad's military has complicated U.S. efforts to defeat IS. 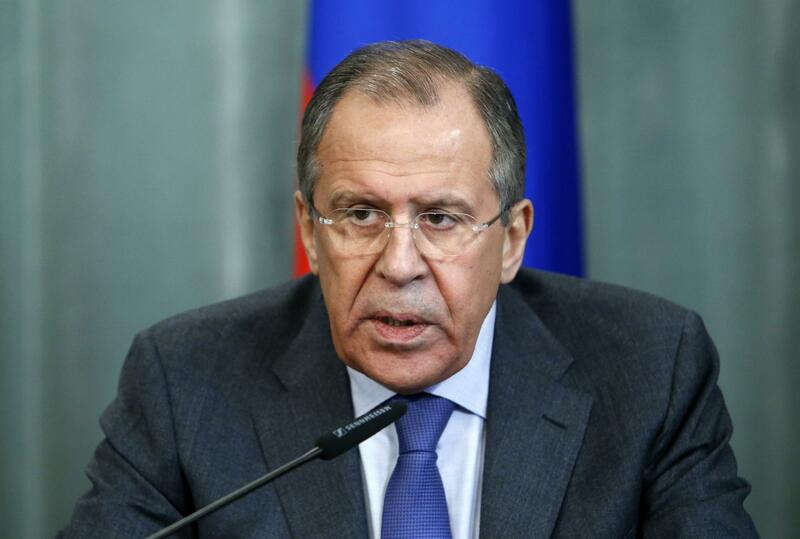 Lavrov will be coming to the American capital with a Russian plan to end the violence, after hashing out an agreement with Iran and Turkey last week. It focuses on the creation of four de-escalation zones. Critical details still need to be finalized and the U.S. response has been cautious, with top officials such as Defense Secretary Jim Mattis saying they're still studying the concept and its various unanswered questions. The would-be safe zones would not cover areas where the U.S.-led coalition is fighting IS. Despite the lack of clarity, the possibility of a meeting between Mr. Trump and Lavrov would in itself be a sign of some progress. The Russian diplomat hasn't visited Washington at all since 2013, a year before Russia's annexation of Ukraine's Crimea region and two years before it intervened militarily in Syria to help Assad remain in power.